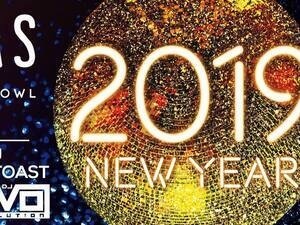 Come early to eat and stay late to party with our favorite local DJ, EVO Evolution, as he rings rings in 2019 with the freshest tunes in T-burg from 9:30 to close -- NO COVER!!! Check back for more details regarding menu offerings as Chef Brit is preparing a special celebration pre fixe menu for this event! Complimentary champagne toast at midnight, plus great bowling and drink specials all night long!!! !